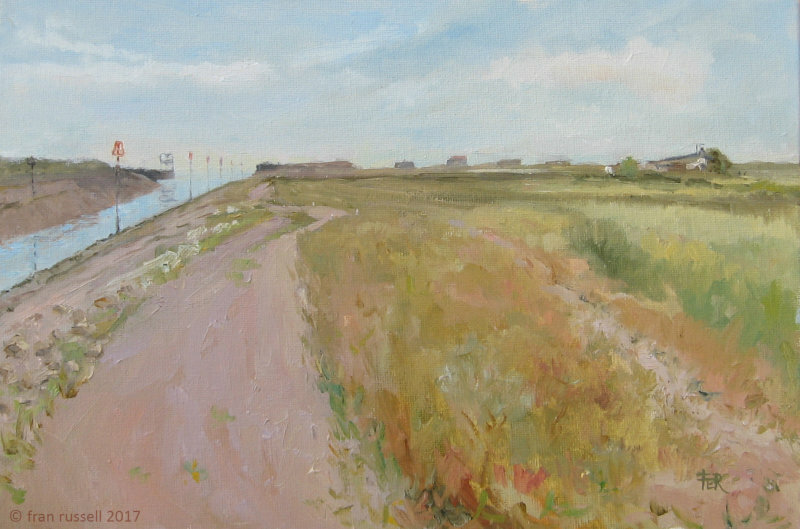 Enjoyed a brilliant day painting at Rye Harbour with a friend - we were so lucky with the weather. It is such a great place to paint with nature all around. Wonderful sounds of sea and marsh birds, gulls cracking open shellfish (probably mussels) on the harbour walls and something "big" made a huge splash in the water nearby. Loved it!